Dull red, boring brown, going nowhere blonde? Discover Evo Fabuloso today! Build styles, change you mind and start all over again. Be wind blown away. Be interesting. Be that urban fisherman...you salty dog you...! 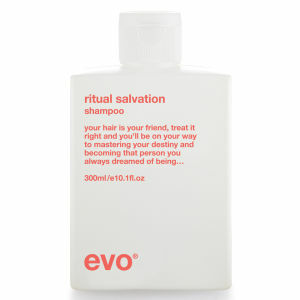 Evo are the quirky, no-holds-barred brand attempting to revolutionise the haircare industry. We can’t deny that their efforts are working--the brand boasts a huge product range bursting with effective formulas, in addition to a cult-like following that spans the world over. Evo adhere strongly to one key tenet--transparency--which is evident throughout their product range. Instead of formulating shampoos, conditioners and more full of harsh chemicals and nasties, the brand focuses on creating products that work wonders both in the short- and long-term. They believe it’s important to be truthful with their customers, and so, also don’t employ ‘filler’ ingredients that hike up the price of the product without any proven benefits. Instead, what you will find in an evo formula is a concentrated bunch of active ingredients that can truly beautify your hair, based on your own unique needs and hair type. Evo boast products suited to the full spectrum of hair types, from curly and frizzy through to limp, lifeless, dull and dry. Coloured locks are also taken into consideration with evo Fabuloso, designed specifically for maintaining the vibrant hues you’ve always dreamed of in between salon visits. 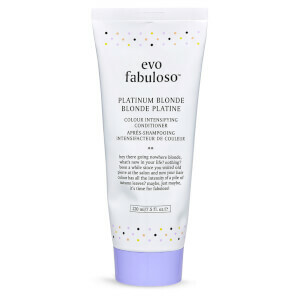 If you’re looking to upkeep that gorgeous blonde hue or bold red shade from home, the Evo Fabuloso range is definitely for you. Simply find the conditioner that suits your hair colour the best and use on a weekly basis to enrich your existing colour while you wait for your next trip to the salon to roll around. Use in conjunction with whatever shampoo and styling products already exist in your routine--these products are totally no-fuss, all results. Those with dry, dehydrated locks will adore The Therapist Calming Shampoo and Conditioner. Designed to relieve itchiness or irritation in addition to nourishing your thirsty locks, these will help soothe your scalp in no time. After just a few uses, hair will feel softer, look shinier and appear healthier on the whole. Pop on The Great Hydrator Moisture Mask once or twice-weekly to optimise your results! In addition to these two beloved ranges, there’s a product for everyone from evo. Opt for the Love Smooth range if you’ve got a case of the frizzies, or try Gluttony to fatten up thin and limp locks. It’s no coincidence evo products have starred on runways, magazine covers and more! There’s also quite the range of styling products available from evo, from dry shampoos to waxes, pomades, shine sprays and more. You’ll have to check it out for yourself to find out more...we can guarantee, though, that you won’t be disappointed! 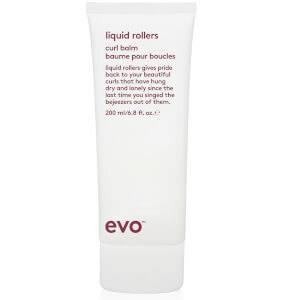 All evo products are free of sulfates, parabens, DEAs, TEAs and propylene glycol. Evo products are also cruelty-free and have been formulated with considerations for the environment in mind.